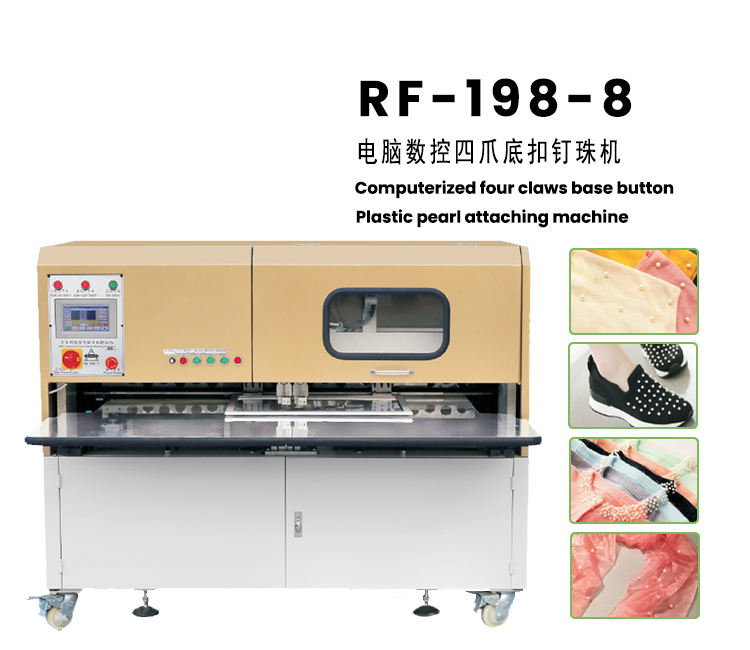 1. this machine is suitable for any 4mm-12mm full circle pearl use, only needs to change the mold (this machine brings two sets of different specifications mold, may replace the work back and forth, the quick and convenient work pattern, the operation is not only convenient but also greatly enhanced the work efficiency). 2. adopt new computer numerical control guide device, pearl and four claw bottom buckle docking is more accurate. 3. adopt the imported pneumatic components to increase the stability and durability of the machine. 4. Using touch control panel and programmable logic controller system, you can design and draw any pattern you want.The positioning is accurate and the effect is beautiful.